LONDON: England all-rounder Moeen Ali claims he was subjected to a racial taunt from an unnamed Australian player during the first Test of the 2015 Ashes series, reported The Guardian. Ali, who scored 77 and took five wickets in what was his first Ashes match, said in his autobiography which is being serialised by The Times that he was likened to the Islamic terrorist Osama bin Laden on the pitch at Cardiff. “It was a great first Ashes Test in terms of my personal performance,” Moeen writes in the book. “However there was one incident which had distracted me. An Australian player had turned to me on the field and said, ‘Take that, Osama’. Moeen, a British-born Muslim, claims he spoke to his England coach, Trevor Bayliss, about the slur, who raised it with the Australia coach, Darren Lehmann. Lehmann then sought an explanation from the player, who denied making the comment. 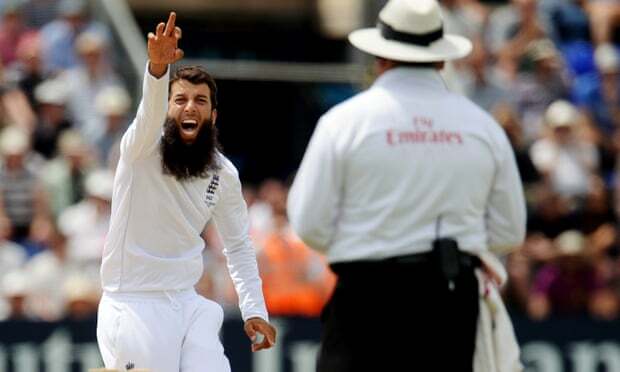 Moeen said the player approached him at the end of the series, at which point he denied making the comment and claimed “some of my best friends are Muslim”. Earlier this week, Moeen told The Times he had no sympathy for Australia’s banned cricketers and that he finds the whole team “rude”. Australian cricket was thrown into turmoil earlier this year when captain Steve Smith, vice-captain David Warner and batsman Cameron Bancroft were banned after a ball-tampering scandal during a Test in South Africa. Much of the cricketing world reacted with a mix of anger and schadenfreude, with media pundits and former players suggesting Australia had brought themselves undone with the aggressive way they played the game. “Everyone you speak to … they are the only team I’ve played against my whole life that I’ve actually disliked,” Moeen told The Times. Moeen, who had a terrible 2017-18 Ashes in Australia but returned to form to help England beat India 4-1 in the recent test series, said he felt no sympathy for Smith, Warner and Bancroft. “I’m someone who generally feels sorry for people when things go wrong but its difficult to feel sorry for them,” he said. “The first game I ever played against them, in Sydney, just before the 2015 World Cup, they were not just going hard at you, they were almost abusing you.